This is so in my diary!!!!!!!!!!!!!!!!!!!!! Yay everyone! And we are going go have initiations! It is going to be a wonderful event. I am so glad so many people will be there. Looking forward to it...and then the actual solstice on a full moon! And I get to be with Storm for that one! All good things! I am so excited for this and thank you for allowing me to part of your first Ritual that you are leading for us. You will love it and I can't wait to do this with you, and then see you in person 3 days later. This will be wonderful hon!! 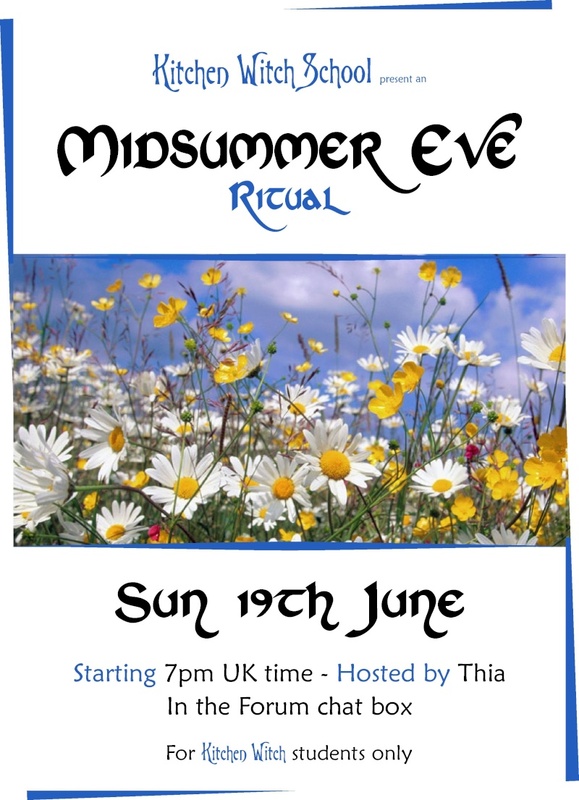 For the Litha ritual we are going to do a spell for bringing those hopes and desires we planted at Beltane – into fruition. If you didn’t plant any hopes or desires in the Spring – think about something you want. We will work with that and add the power of the Sun, the energy of growth and the potency of masculine energy to help our dreams grow and ripen. If you have a yellow, orange or red candle, use that to represent fire and the Summer. If not, white will do just fine. Use herbs that represent what you are bringing to fruition. If nothing comes to mind, here are some Summer herbs with some of their associations. You can also use Oak leaves (tis the season of the Oak) or Birch (Birch is great for new beginnings). If you want to add in a little happiness, flowers are always good for happiness. In particular, sunflowers and daisies are great flowers for Litha. Crystals that are associated with the height of Summer include all green, yellow, orange or red gemstones. For example: malachite, emerald, jade, golden topaz, yellow quartz, fire opal, amber, carnelian, citrine, fire agate, fire opal, garnet, red jasper. Of course if you don't have any of these items you can still join in with the ritual. Use visualisation as we work our Midsummer magic.